Located in Pleasant Grove, California, Wake Island Waterpark is a seasonal 80-acre adventure park offering a variety of family-friendly activities. One of its most unique attractions is boat-less wakeboarding, perfect for people new to the sport. 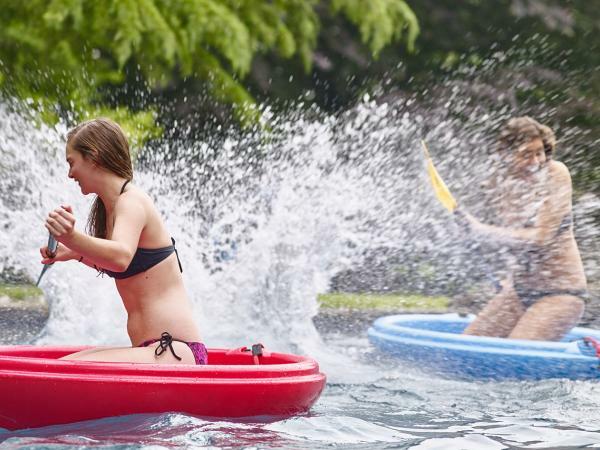 Wake Island is not like other water parks offering just a few slides, a kiddie play area, and a lazy river. Wake Island offers more adventurous options as well. 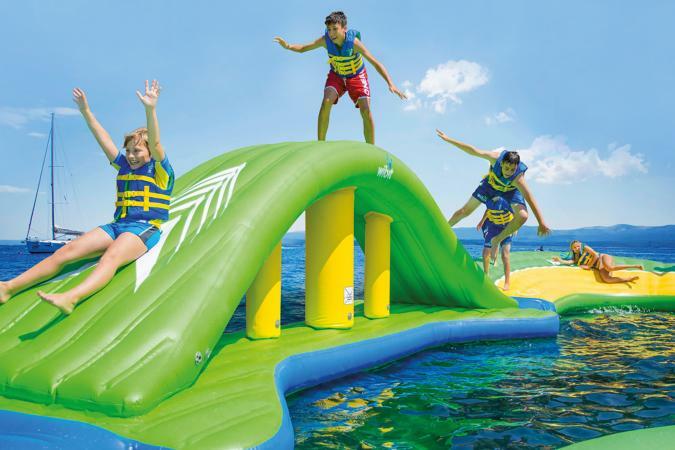 Wake Island holds AQUA PARK out to be the largest floating aquatic park in North America. This gigantic "floating playground" consists of a series of bouncers, inflatable slides, runways, and jumping pillows that are connected together in a lake. Sessions are 45 minutes long, starting each hour. Prices start around $20 per session for weekdays and $25 on the weekend. Group discounts are available for 10 or more people. 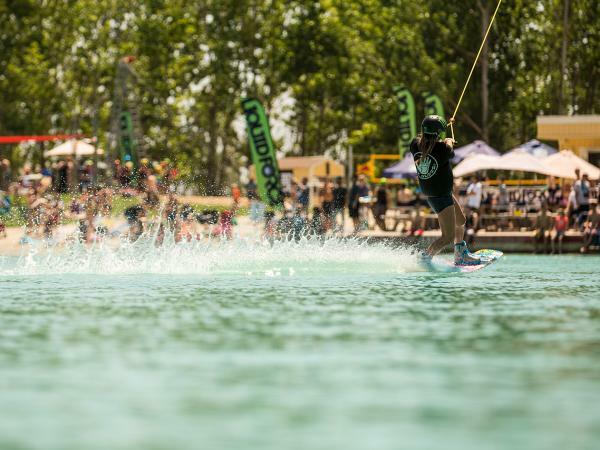 Wake Island offers boat-less wakeboarding, where riders are pulled around the lake by cables. They note this is great for people who are just learning, or those who are training. Guests must be over 10 years old, and anyone under 18 must have an electronic waiver signed by a parent or legal guardian. Guests who are aged 7-9 can take a private lesson and test. If they pass, they can ride the cable system. Prices start at one hour on weekends or two hours on a weekday for around $30 and can go up to $900 or more for an All-Access Season Pass, which includes access to AQUA Park and Zip Line. Wake Island has a variety of other offerings too, including the Swimming Beach where you can hang out all day when the park is open (beach closes at 6 p.m.). You can bring your own chairs, tables, and umbrellas, and there is the Beach Hut Deli and Island Grill where you can buy food. Paddleboards are available for rent starting around $15 for 30 minutes or $20 for one hour. Guests cannot enter the swimming area with a paddleboard. Corcls are something you may not be familiar with and require some good balance skills. You can sit cross-legged or kneel in this round boat, both easier ways to get around, or challenge yourself and try standing up. Boat rentals start around $10 for 30 minutes or $20 for one hour. There is a weight limit of 225 pounds. 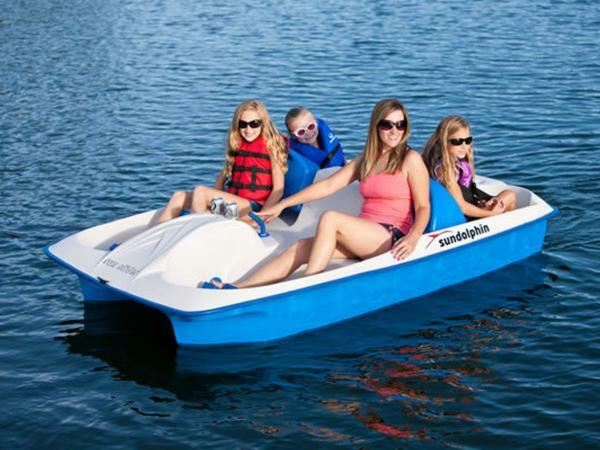 You can also rent pedal boats and if you have young kids, Wake Island rents Turbo Paddlers designed for children aged 3 to 10 who do not weigh more than 70 pounds. Make sure you fill out waivers and check requirements for the various activities. There is no admission to Wake Island itself, and parking is free. You only pay by activity or rental equipment. Familiarize yourself with all the park rules. Some basic safety rules include no glass, no smoking, no alcohol, and no pets. Unless otherwise noted, all activities require guests to be 48 inches tall, and all children need to be supervised. If you're looking for a place to have a special birthday party, Wake Island offers special birthday party packages for kids 7 years and older. Two-hour private wakeboard parties include an instructor and rental equipment. Prices can start around $225 on weekdays and $250 on weekends for up to 10 kids. Additional children incur a fee. Parties can also be tailored for adult groups and small company gatherings. Make sure you familiarize yourself with all the rules prior to booking. 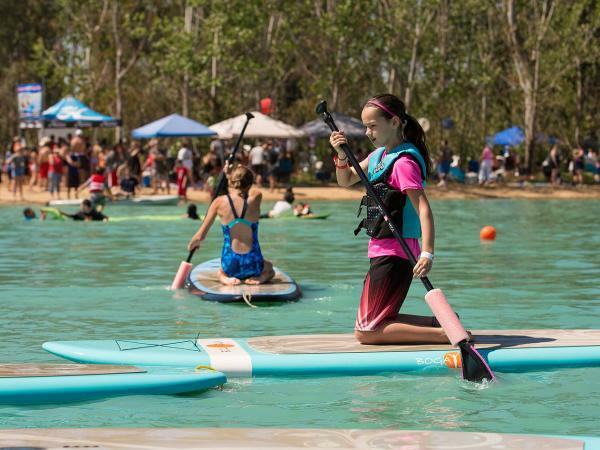 Wake Island also offers day camp options where you can either book a half-day camp or full day, Monday through Friday. This is designed for kids between 7 and 15 years old. Contact Wake Island directly for pricing. Wake Island Waterpark is located about 15 minutes north of Sacramento, and less than two hours from Lake Tahoe and the San Francisco Bay Area. If you're looking to stay in the area, Roseville, Natomas, and downtown Sacramento are a short drive away. Wake Island is a seasonal water park and typically opens in late May and closes for the season by early September. Hours vary by day of the week, with the longest operating hours in the summer itself. Clever Housewife recommends Wake Island for adults and kids alike. Her family tried the obstacle course along with a variety of the water toys. She noted that while the 45-minute session may not seem long for the AQUA PARK, it was more than enough time for their group to get through. Unleashed Wake Magazine notes it also has one of the best sandy beaches in Sacramento. If you want to see firsthand what a day at Wake Island is like, Good Day Sacramento has a fun video on their visit to the AQUA PARK when it opened in 2015. Some users on sites like Yelp note several things that could make Wake Island a much better experience. They mention a lack of shade, so be sure to bring umbrellas, and they dislike that you can't bring in outside food or coolers. Other users wish they would move to an all-day pricing model versus à la carte for every activity. The other points of concern include the "dyed" turquoise water and complaints of algae on the obstacle course at the AQUA PARK. On the positive side, users on TripAdvisor say Wake Island is very family friendly and a great way to beat the Sacramento heat during the summer. The wakeboarding is one of the most recommended experiences. Is Wake Island Worth It? If you're already in the Sacramento area during the summer, or you have extra time while passing through the area on holiday, it may be worth spending a few hours at Wake Island. Just be sure you price out the various activities and check opening hours ahead of time. With à la carte pricing, your visit could add up quickly.